Everybody needs the essentials That’s what you get in this powerful, entertaining DVD series from Focus on the Family. Hosted by popular counselor and author Greg Smalley, the Essentials of Marriage series brings top relationship experts into your home or church—with practical wisdom, honest confessions, and decades of experience. 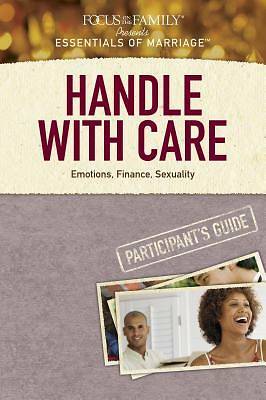 In Essentials of Marriage: Handle with Care, experts like Gary and Barb Rosberg, Kay Arthur, and Dave Ramsey present hard-hitting strategies for couples to deal with the biggest threats to growing together . . . including anger, depression, and financial troubles. You and your spouse or group will discover new, Bible-based ways to beat these marriage busters.